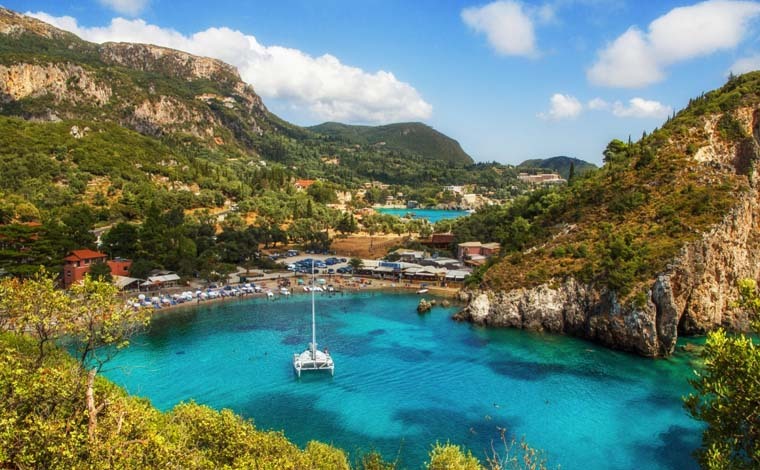 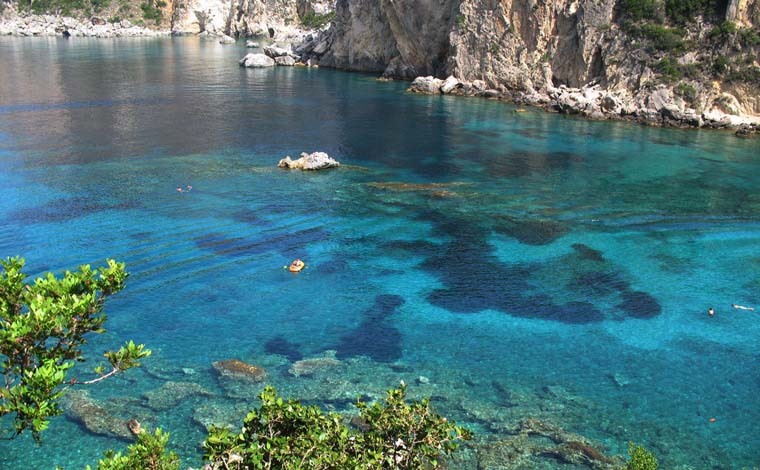 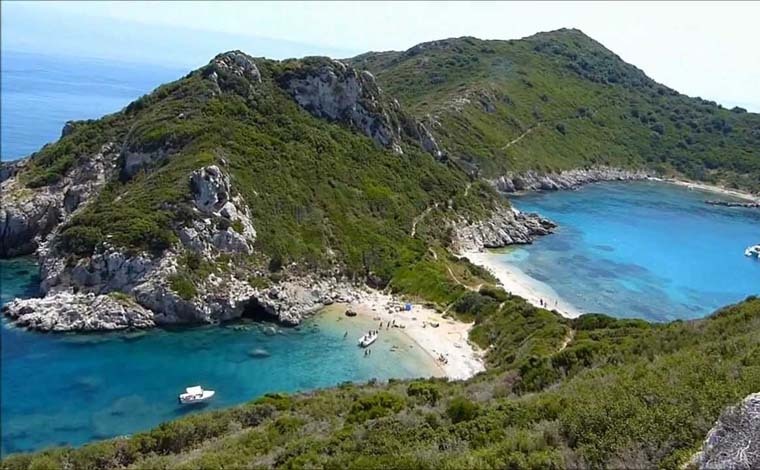 The bay of Paleokastritsa is one of the most famous locations on the island, much celebrated for its unique natural beauty, known as the “Capri of Greece”. 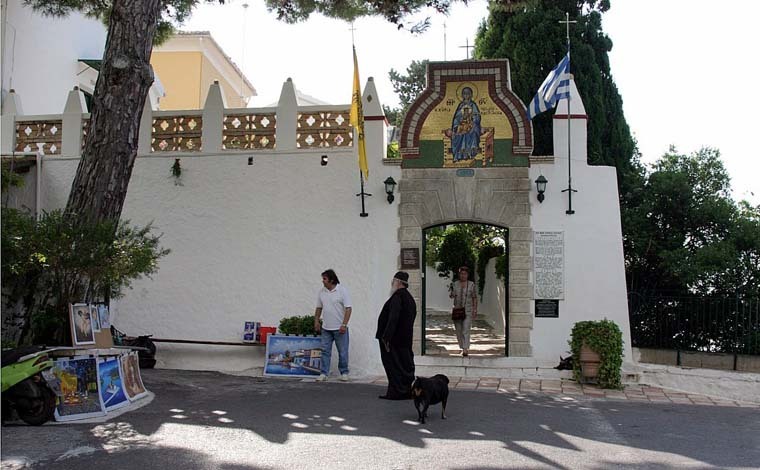 You visit the Byzantine Monastery of the Virgin and its small museum, housing priceless Byzantine icons and church relics. 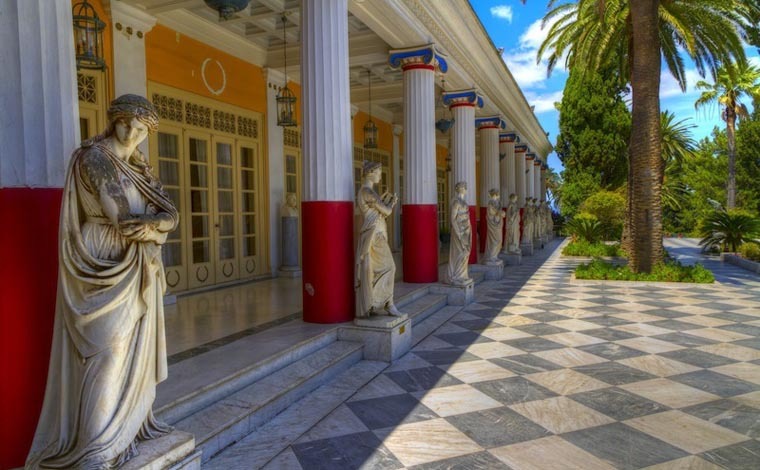 Leaving Paleokastritsa, your coach takes you via the Ropa Valley to the traditional old village of Gastouri for a visit to the Achilleion Palace. 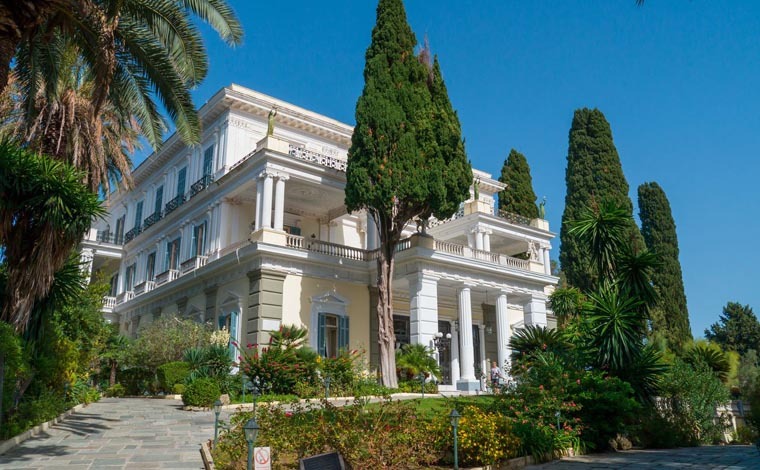 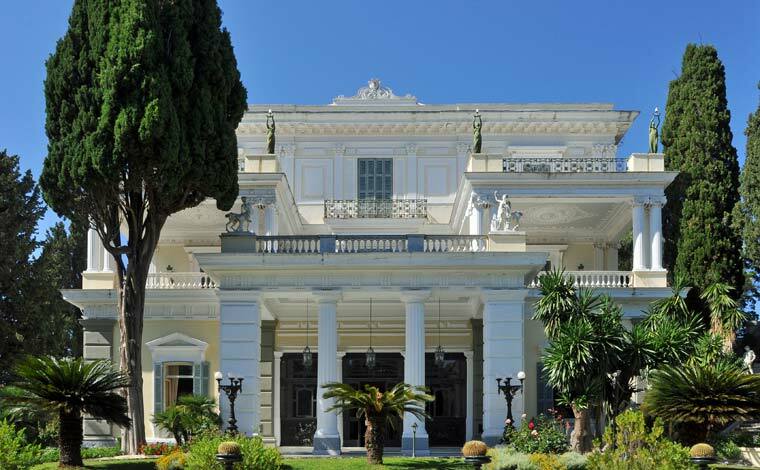 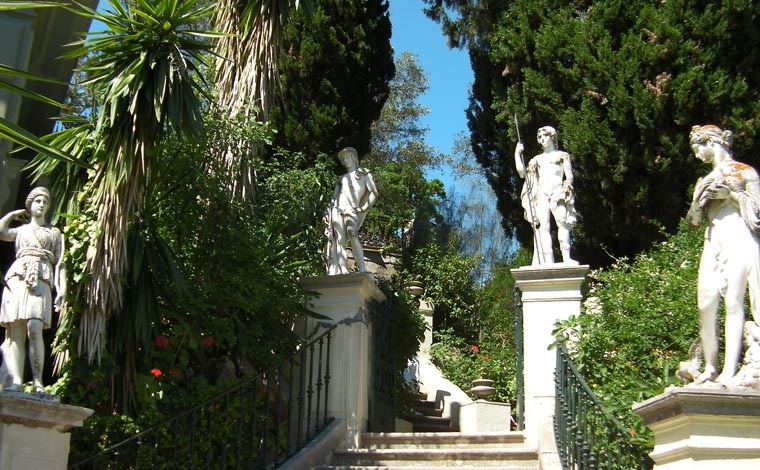 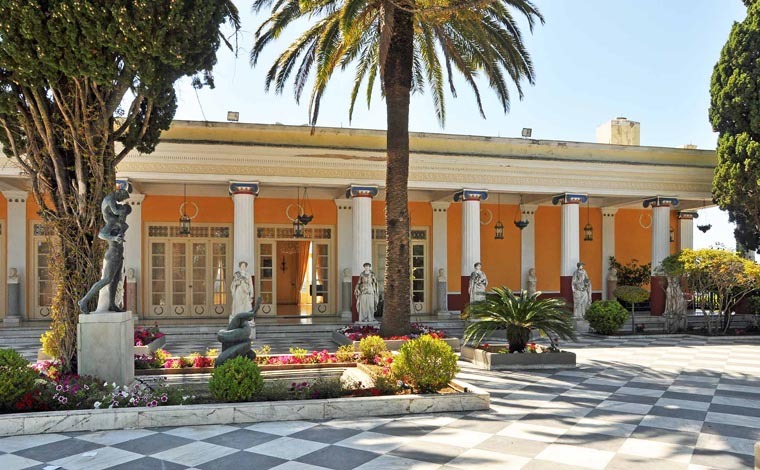 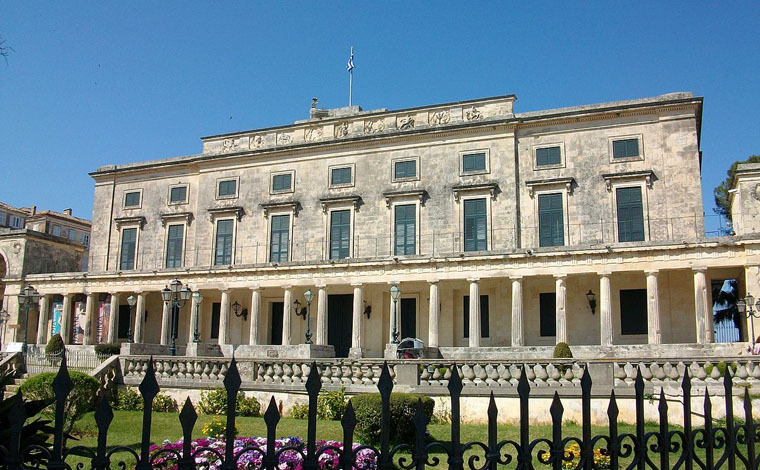 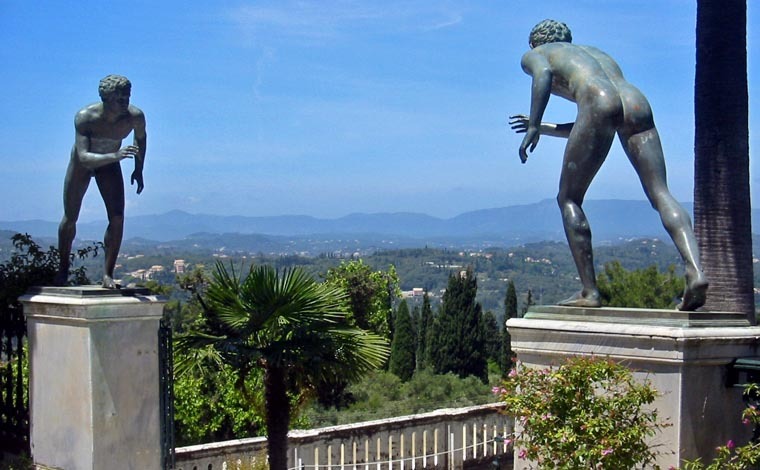 You visit the rooms of the Palace open to visitors, offering a glimpse into the life of the “Sad Empress” as Sissy was commonly known, as well as its beautiful gardens with spectacular views over Corfu Town and the sea. 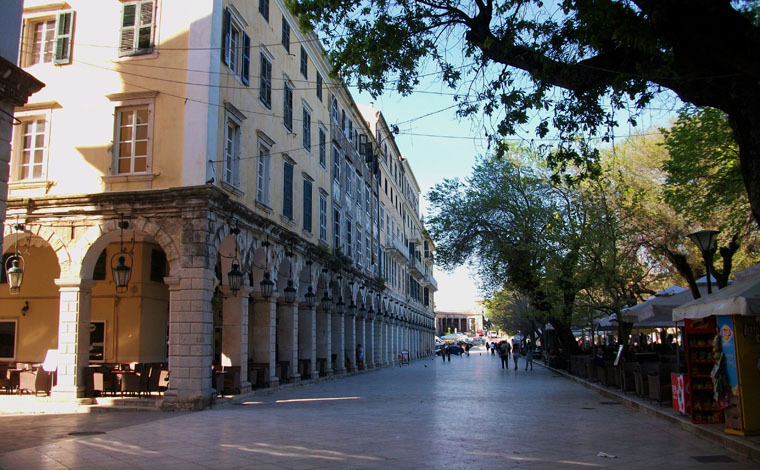 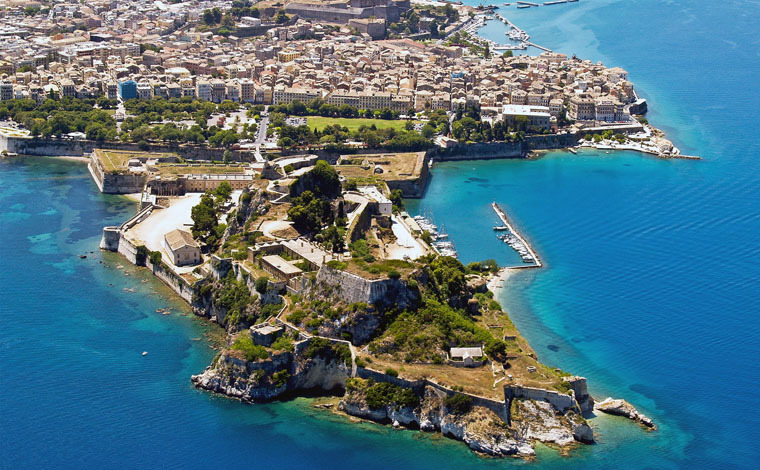 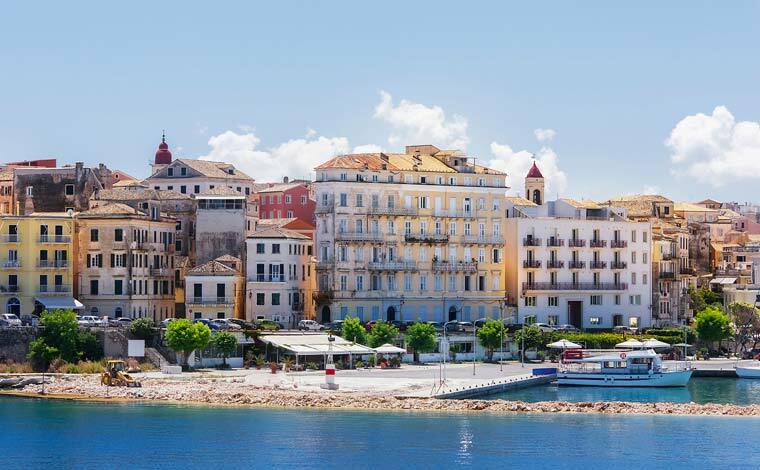 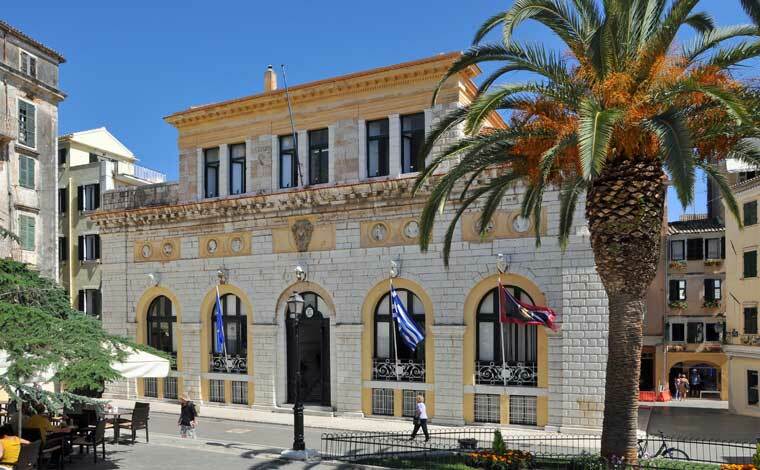 From Achilleion Palace, you are driven into Corfu Town for a visit of the historic centre of this elegant old town. 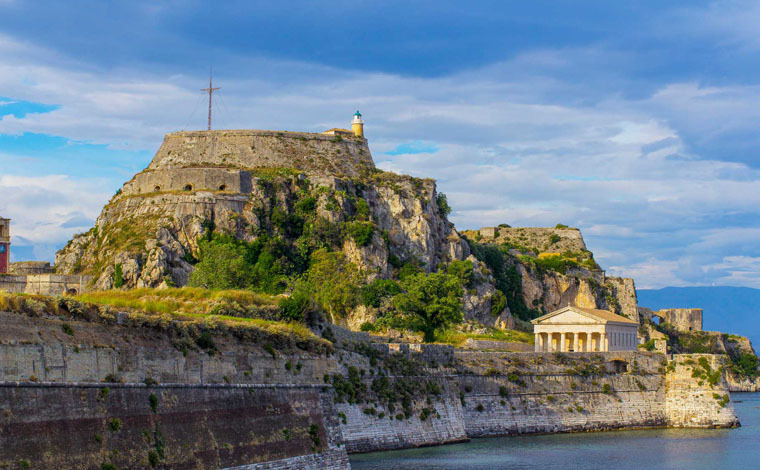 Built by the Venetians more than 400 years ago, the Old Town looks more like Napoli or Venice rather than any other Greek town. 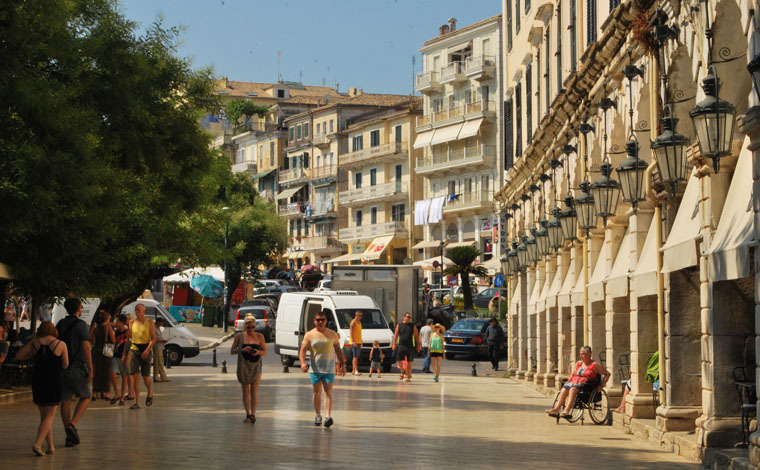 Leaving the coach by the central “Esplanade Square”, you explore the town on foot accompanied by your guide. 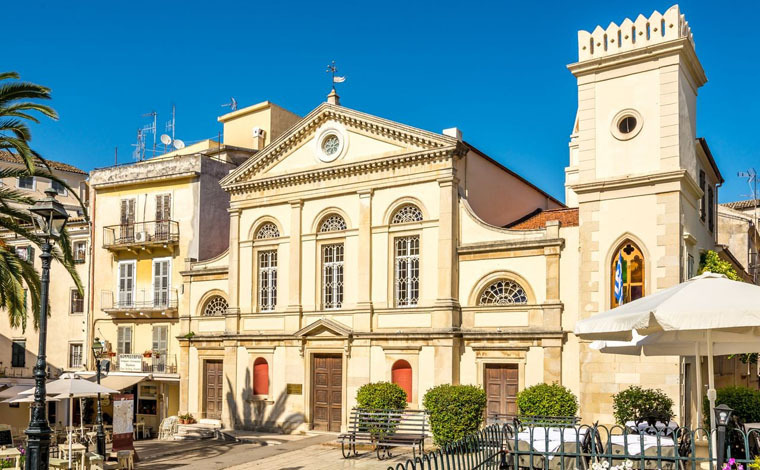 You visit the 300-year old church of St. Spyridon, the Saint Protector of the island, with its priceless collection of icons and offerings to the Saint. 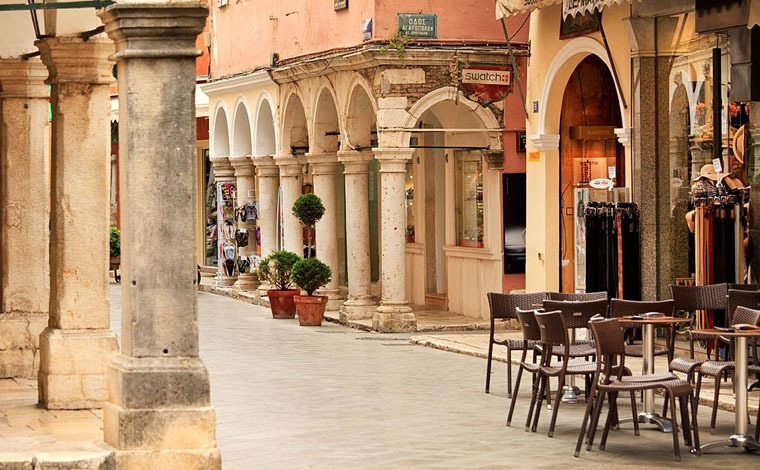 There is also free time for shopping and wandering around on your own before returning back to your coach for your return transfer. 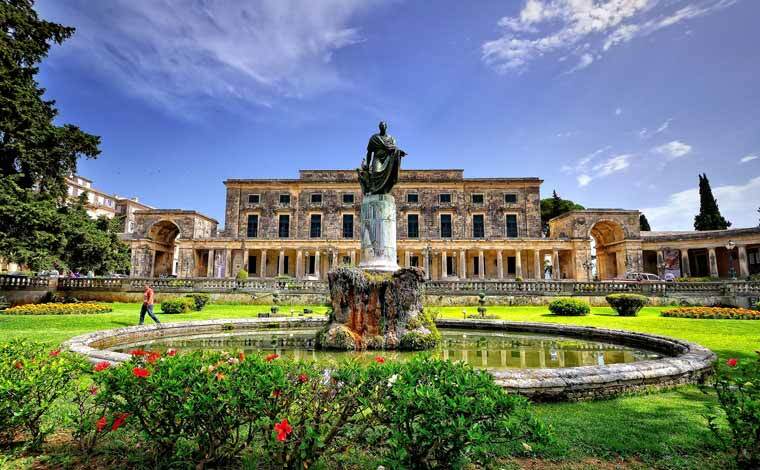 The tour can be arranged also in other languages upon request and availability. 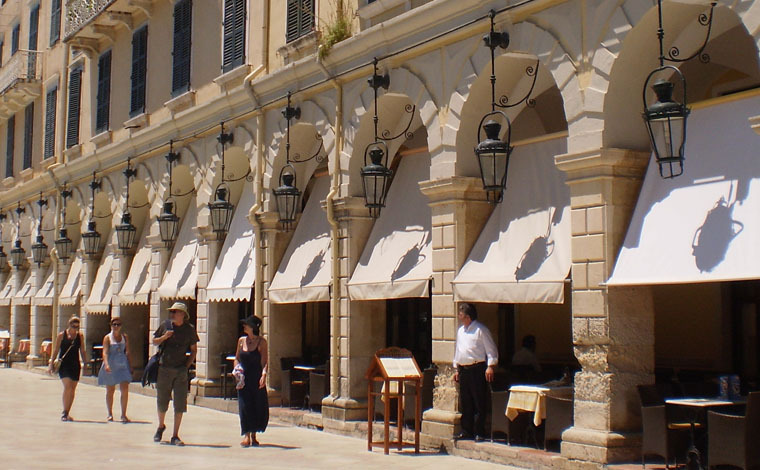 Please avoid wearing short pants and revealing blouses for your visit at the Monastery and the church of St. Spyridon. 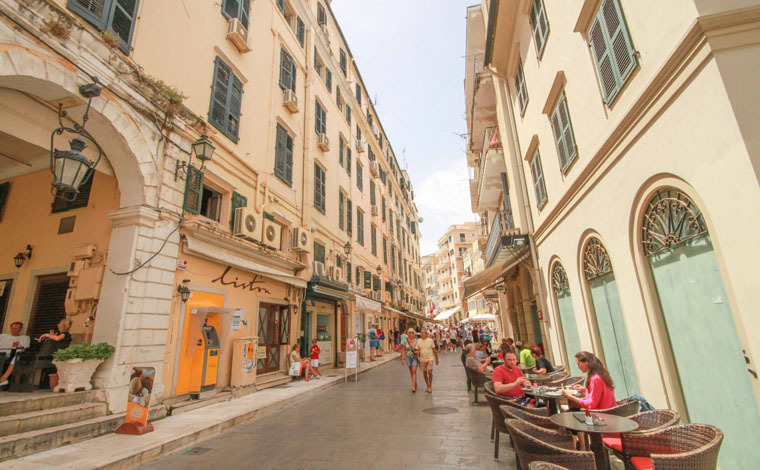 Bring your camera and lots of film. 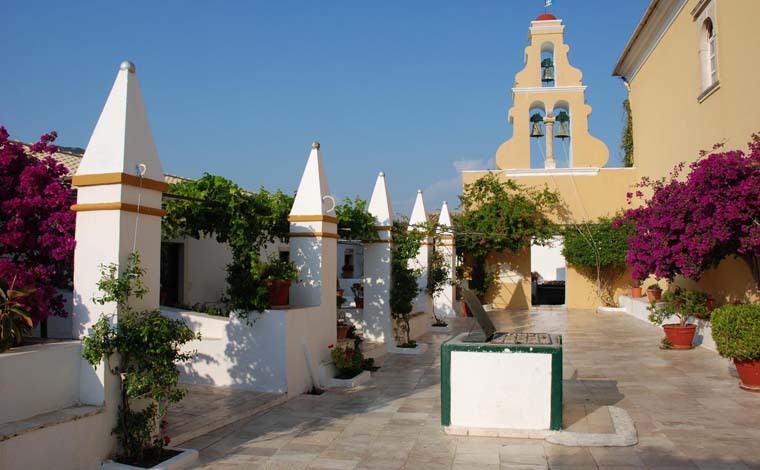 For reservations on Sunday or Local/National holidays a supplement will apply.